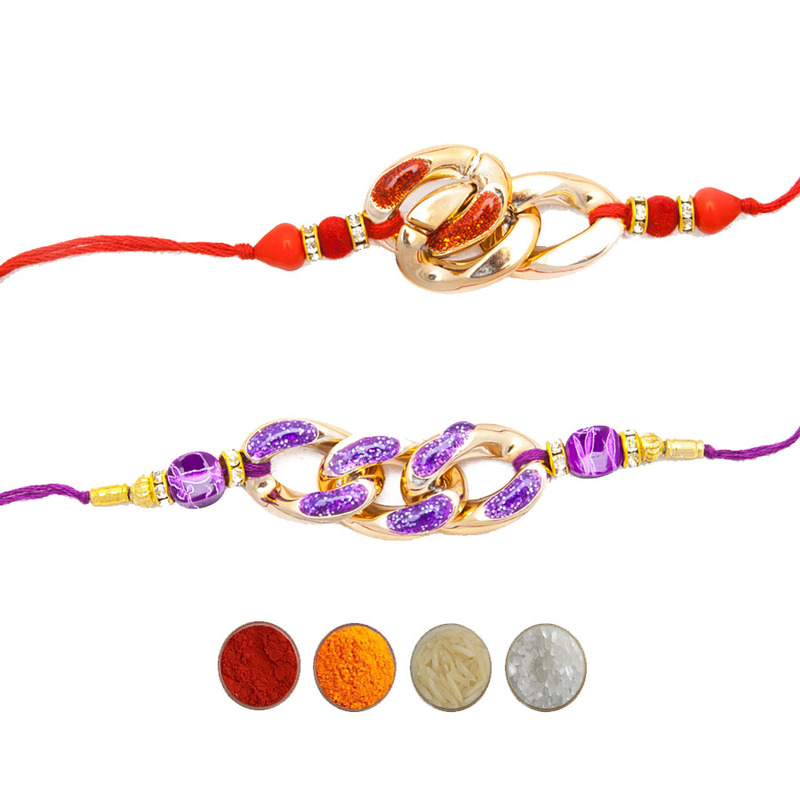 Send jeweled rakhis to your dear brothers anywhere in India this Rakhi Festival. 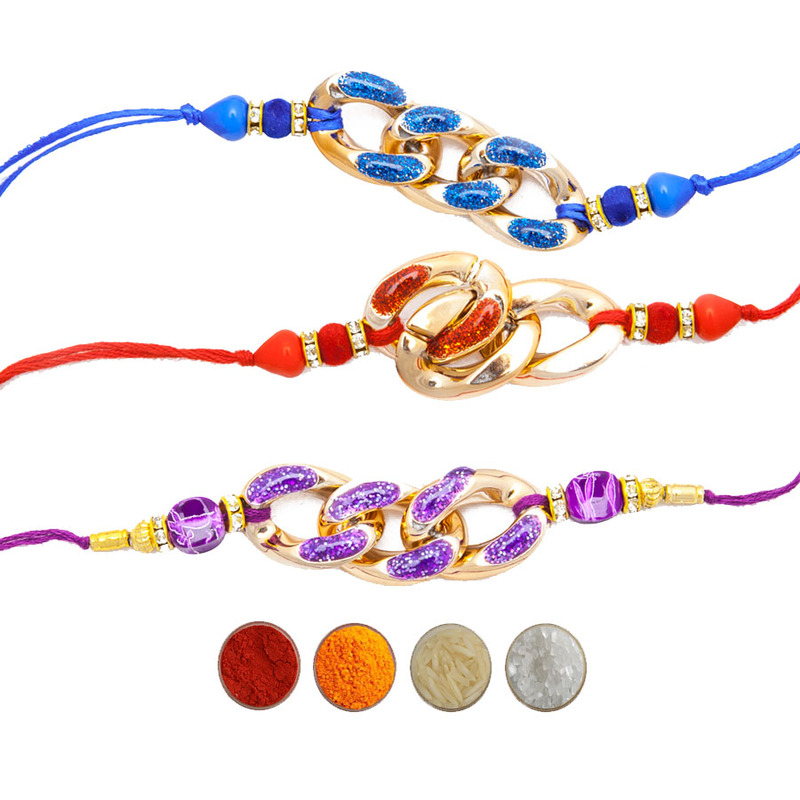 This a beautiful set consisting of three designer and beautiful jeweled rakhis. 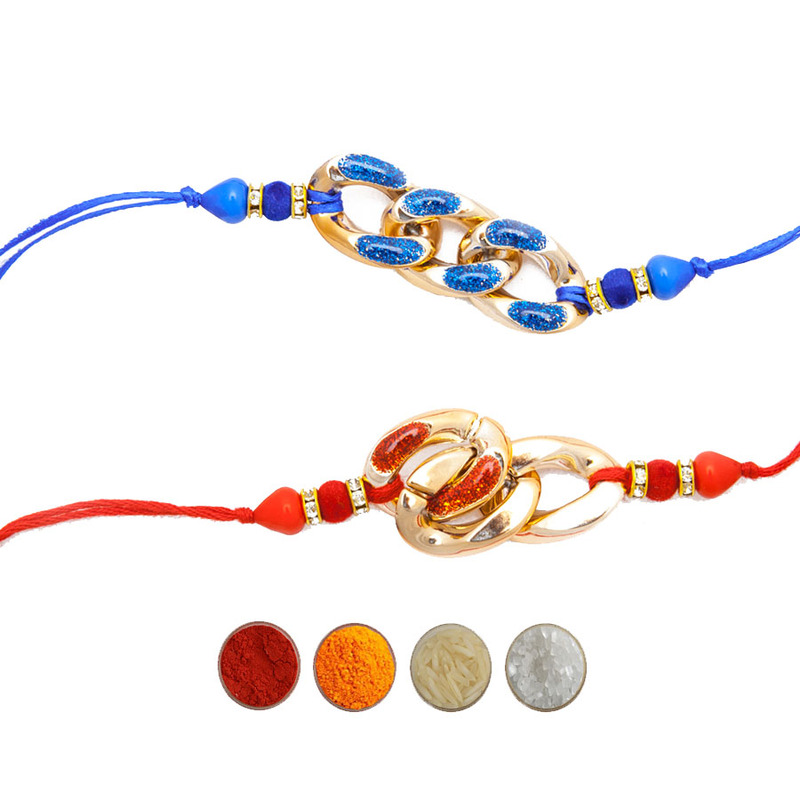 These three premium quality jeweled rakhis look very elegant and attractive. These all rakhis are decked with diamond aura shimmering white premium stones. 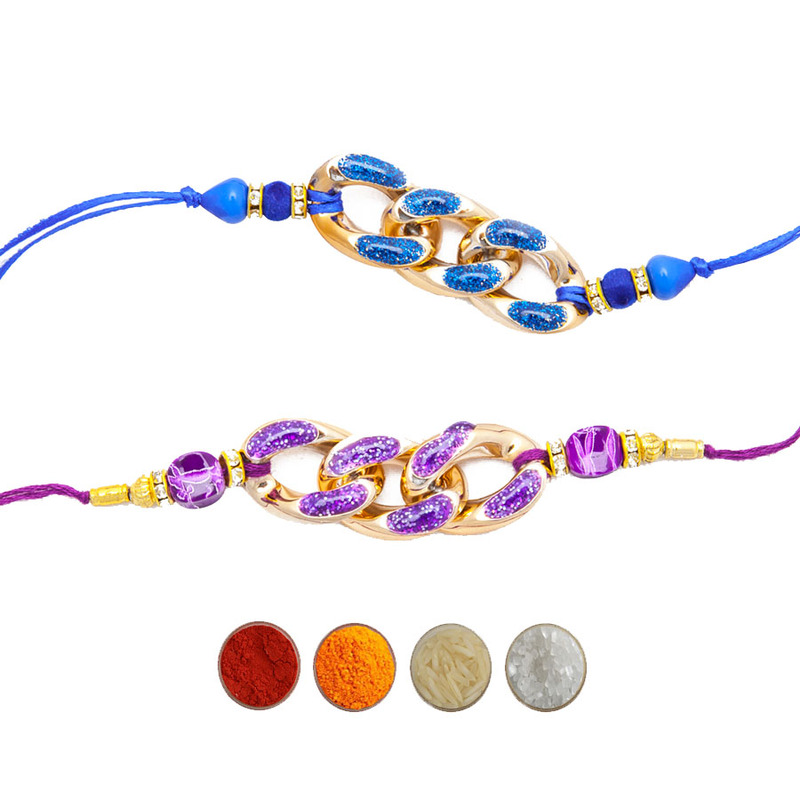 The first two rakhis are bracelet style jeweled rakhis in golden and silver chains. 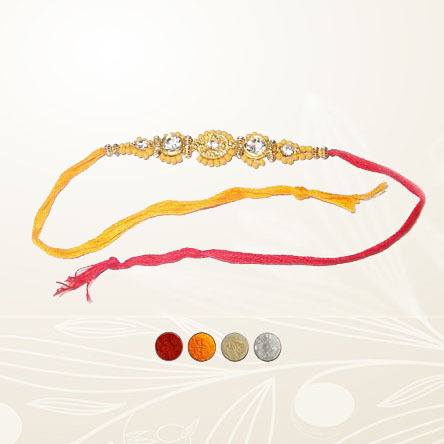 The third rakhi is in yellow thread decked with american diamonds and red and green premium stones (Kundan). 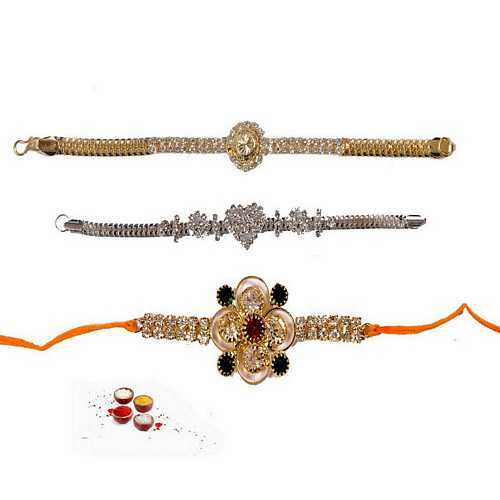 We are offering these jeweled rakhis for Bhaiya with complimentary Roli, Chawal, Chandan, and Mishri.